Balakrishnudu is a Tollywood Telugu movie released under the banner of Saraschandrikaa Visionary Motion Pictures. MayaBazar Movies. 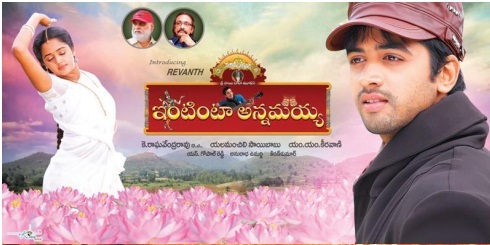 B Mahendra Babu Musunuru Vamsi Sri Vinod Nandamuri (Produced By) in the year of 2017. Star Casts are : Nara Rohit, Regina C, Ramya Krishnan, Prutviraj, Adithya Menon, Kota Sriniv, Ajay, Raghu Karumanchi, Aathma, Vennela Kishore, Raghu Babu, Sriniv, Ravi Varma, Diksha Panth, Avantika Vandanapu, and Others. Production Banner : Saraschandrikaa Visionary Motion Pictures. MayaBazar Movies. Write & Share about " Balakrishnudu Movie" ! Balakrishnudu Movie Trailer | Latest Telugu Trailers 2017 | Nara Rohit, Regina, Ramya Krishna | Balakrishnudu Star casts are Nara Rohit, Regina C, Ramya Krishnan, Prutviraj, Adithya Menon, Kota Sriniv, Ajay, Raghu Karumanchi, Aathma, Vennela Kishore, Raghu Babu, Sriniv, Ravi Varma, Diksha Panth, Avantika Vandanapu, and Others. We do not sell pirated Balakrishnudu DVDs & VCDs. We recommend you to buy movies of original DVD & VCD. We do not provide paid / free Balakrishnudu Movie downloads. We do not offer to watch Balakrishnudu movie online. Balakrishnudu Movie Review/Comments are added by registered customers via Facebook Comments. Balakrishnudu Movie Star Rating by unique customer filtered by IP's. Free wallpapers download of Balakrishnudu movie, hero, heroine, etc is available in our Gallery section. Balakrishnudu Wiki & Box office collections are updated regularly.